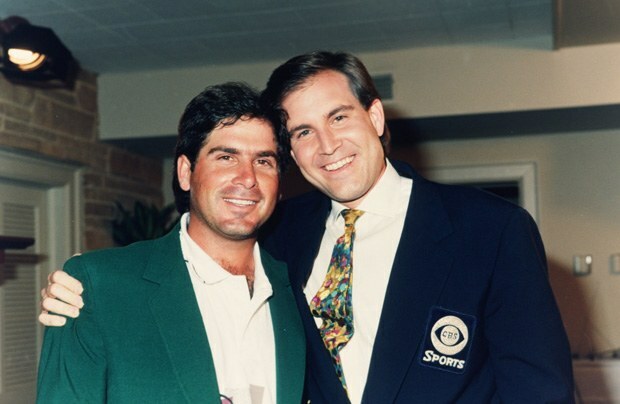 University of Houston legend Fred Couples went into the 1992 Masters as the undisputed #1 player in the world. In the weeks leading up to Augusta, Couples won the LA Open and, two events later, lost a playoff to Corey Pavin at the Honda Classic. The next week, Freddy won the Nestle Invitational by 9 shots. No one in the sport was hotter and Freddy was the clear favorite heading to Augusta. After nearly a decade of international players dominating the sport, 1992 began the Couples-led American resurgence. Another Cougar legend, Steve Elkington, won the Tournament of Champions in the first week of the 1992 season. 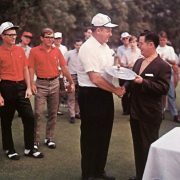 After Elk’s win, all 12 tournaments leading into the Masters had been won by US players. Pavin, John Cook, Davis Love III, and Couples were all expected to contend in the Masters. Couples started the tournament well, shooting 69 on day one. 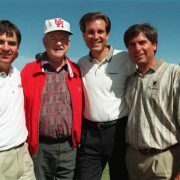 He was tied for 7th with fellow Coogs Elkington and Bruce Lietzke as well as 9 others. Freddy jumped to 3rd place after a 67 in round two, just a shot back of the leaders. That evening, CBS broadcaster Jim Nantz, who shared a UH dorm suite with Couples and was his teammate on Dave Williams’ squad, took the #1 player aside to give him some advice. “Shoot your badge number twice more, and you’ll be wearing the jacket,” Nantz told him. Couples’ Augusta-issued badge number was 70. Fred shot 69 in the third round that was not completed until Sunday morning. Thunderstorms caused a 3-hour delay Saturday afternoon so the final groups on the course had to come back the next day to finish. Depsite shooting three-under, Couples still trailed by a shot. Australian Craig Parry had matched his 69 and led by one. Once again, Couples found himself in contention at a major. He’d been there twice in the previous season: he finished T-3rd in both the 1991 US Open and the British Open. It was time to close it out. The final round did not start out well for the UH alum. Couples duck-hooked his drives on 1 and 2 into the trees, scrambling for a par before bogeying the relatively easy second hole. Meanwhile, Parry birdied #2 and now led by three shots. Who could have guessed that it would be his only birdie of the day? Couples rebounded on the third hole – he hit a 9-iron to 8 inches for a tap-in birdie while Parry bogeyed the hole. Parry then bogeyed #4 and the two players were tied. Both bogeyed the fifth while, at the same time, 49-year old Ray Floyd made birdie at the difficult par-3 6th. Suddenly, there was a three-way tie for the lead at -10. Parry made an ugly bogey at the 7th while Couples and Floyd birdied the par-5 eighth hole. Freddy added another birdie on 9 – a curling 18-footer – and led by a shot heading to the back nine. Masters lore says the tournament doesn’t really start til the back nine on Sunday. That held true again in 1992. Floyd bogeyed 10 and 12 and, after a clutch sand save on 10 for a par, Couples walked to the 12th tee leading by 3 shots. The 12th is the signature hole at Augusta and perhaps the most iconic par-3 in the sport. The hole normally plays around 155 yards with an imposing tee shot over Rae’s Creek. A deep, U-shaped bunker sits in front and two bunkers are strategically placed behind the narrow green. On this day, the pin was on the right side of the green – taking the U-shaped bunker out of play. However, this traditional Sunday pin-placement brings Rae’s Creek into play – any ball that hits on the front fringe or below will trickle back into the creek. 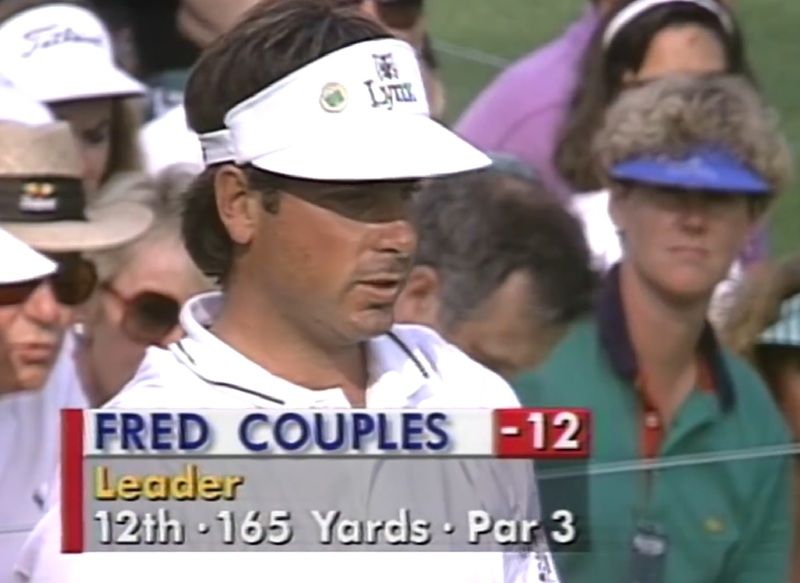 Caddy Joe LaCava gives Couples the yardage – 166 yards – just slightly off of what the CBS graphic says. Couples pulls his Lynx 7-iron and goes for the pin. With a 3-shot lead, that’s a mistake. One Freddy acknowledged after the round. Couples’ ball flew right at the flag but came up short. On the broadcast, announcer Verne Lundquist was in silent shock. 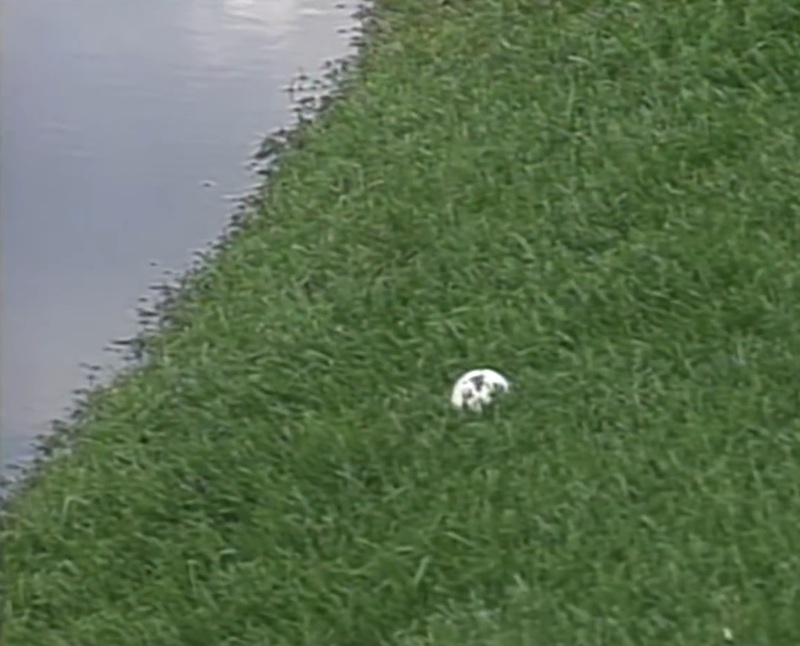 Miraculously, the ball didn’t roll back into the water. But for over a minute, no one watching at home knew that the ball had stayed up. Veteran broadcaster Ken Venturi, then in his 35th year covering the Masters, said he’d never seen a ball stop there before. So why did it stop? The thunderstorms from Saturday left the usually-slick embankment wet and muddy. The ball hit and moved only a few inches. How did it stay up? But he wasn’t in the clear yet. The next shot was difficult and one that no players had practiced. But cool as always, Couples chipped the ball to within 18 inches and escaped with par. Up ahead, Ray Floyd birdied 14 and 15 to get within a shot. A group behind, Freddy faded a perfect 9-iron from 135 yards. The ball took the slope to within 7 feet of the cup and Couples poured the putt in for birdie. Couples parred 15, 16, and 17 and went to 18 with a two-shot lead. There, his 3-wood found the first of two fairway bunkers. But Couples, as he had done so many times that day, hit a pure 7-iron to within 25 feet. A perfect lag putt and a tap-in gave him his Green Jacket. It would be Couples’ only major, largely due to a career nagged by back troubles. Waiting for him on the 18th Green was Floyd, ready to congratulate his former Ryder Cup partner. Freddy gave him big smile and a hug before going in to sign his scorecard. Freddy was presented with his green jacket in Butler Cabin in a ceremony hosted by his UH teammate Nantz. Nantz has called that moment one of the highlights of his career. “Fred, I don’t know. I may have been more nervous than you were on that back nine,” Nantz said. Couples has done it all in the sport. He is an icon that won 7 tournaments while at UH including the 1979 Southwest Conference Championships, captained three winning President Cup teams and, in 2013, was elected to the World Golf Hall of Fame. 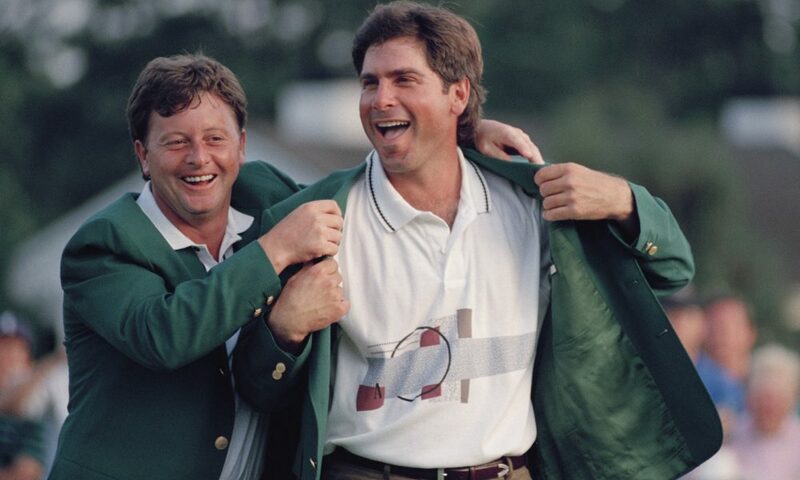 But his greatest win came April 12, 1992, out-dueling Ray Floyd to win the Masters.